SNAP 2017 Registration Form: Aspirants interested to join MBA courses offered by institutes of Symbiosis International University (ISU) have to take the common or mandatory Symbiosis National Aptitude Test 2017. Based on the merit list, students can get the seat their required institution of Symbiosis International University. A candidate needs to register for SNAP 2017 as soon as possible because there will be heavy traffic in the websites at last moments. They have to register for the institutes offering his\ her choice of program by paying separate registration fees. If shortlisted, then he\she should attend the GE-PIWAT process conducted by each of these institutes individually. All eligibility criteria details are mentioned below. Candidates have to go through the notification carefully and then apply for the SNAP Registration 2017. Students should undergo some process to register for the SNAP online application form 2017. The registration process for SNAP 2017 and institutes is simplified now. 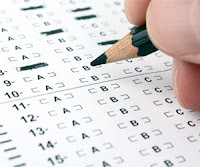 Candidates can complete the SNAP as well as program registrations in the same online official web portal (www.snaptest.org). Symbiosis International University (SIU) will release the official advertisement about the Symbiosis National Aptitude Test 2017 soon through its web portal. SNAP Test has been conducting by the SIU University every year for getting admission to the PG management degree courses in all the branches such as Karnataka (Bangalore), Maharashtra (Pune \ Nashik) and Telangana (Hyderabad). Stay tuned with us for further updates. Graduate from any recognized University or Institute with a minimum of 50% marks (45% marks for SC \ ST). An applicant who has completed qualifying degree from any Foreign University should get an equivalence certificate from the Association of Indian Universities (AIU). NOTE: SNAP 2017 registration fee is non refundable. Click on "Register button" to read the instructions carefully. Press on the "I Agree button" to accept the terms & conditions and move to next web page. Step-III: Upload your coloured scanned passport size photograph in prescribed format. Step-IV: Payment of application fee: It can be done by Internet Banking, Cash and Demand Draft. After successful completion of payment, you will receive a confirmation email. Note: Any Changes in the online application form will be entertained up to the closing date of online registration. No changes will be allowed after last date under any circumstances.